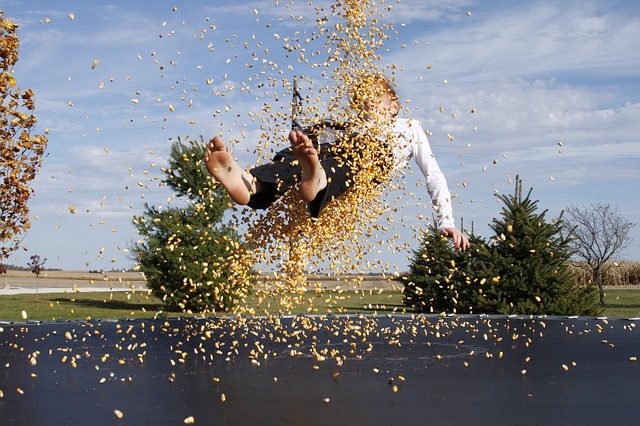 This article is all about finding the best trampoline brand for you and your family. Trampolines can be substantial investments. More importantly, they must offer absolute peace of mind so you know everyone in the family can be having safe, healthy fun. What do the best trampoline brands have in common? Let’s find out! 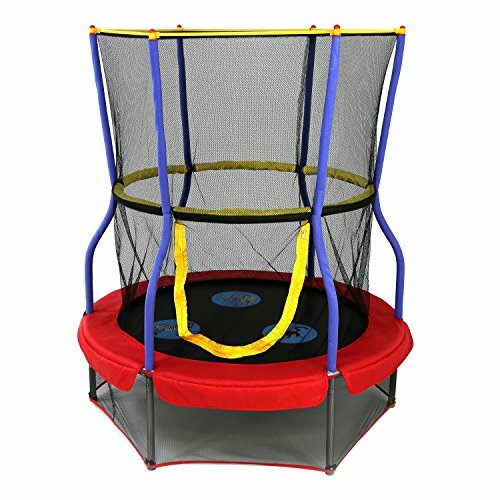 2 What are the best trampoline brands? Here’s a helpful checklist of things to look out when you’re comparing the best trampoline brands. It’s important to adhere to the weight limit of a trampoline. Having too many people on a trampoline all at once not created to sustain that kind of burden is dangerous and is a sure way to accidents or trampoline malfunctions. Safe trampolines always have their weight limits clearly indicated for their users to follow. Whether it’s a kiddy or adult trampoline, the best trampoline brands should have quality, durable safety net enclosures to catch jumpers from accidentally bouncing off the surface. Whether it’s a fail-proof safety enclosure design or special shock-absorbent jumping mat, the best trampoline brands are relentless in their quest for quality and innovation. However, do be prepared to pay a premium for patented technology. There are several trampoline brands which perpetually come out tops in consumer reviews. Let check them out. Founded in 2004, this trampoline maker has been making trampolines, safety enclosures and a range of other games to encourage the young and the young-at-heart to get outside and work up a sweat in a fun way. Know for their patented enclosure system, Skywalker has been consistently trusted by parents and gymnastics coaches alike. Every Skywalk trampoline and its accessories have been manufactured to meet ASTM standards, a stamp of quality and security. Here are two of Skywalker most well-loved trampolines. This Skywalker trampoline is one of the best trampoline brands for your little one’s first foray into bouncing. Every aspect is engineered to provide safe fun. The patented safety enclosure doesn’t have any gaps between it and the jump mat which could potentially trap and hurt little hands and legs. The safety net is also made of tightly knit mesh material that can last for many years. Instead of hard springs that could easily cause injuries should your kiddo accidentally land on them, this Skywalker trampoline sports an ultra-safe springless stretch band design. The special 360 degrees padded safety bar also lends extra support to the little one so you can be assured that he’s having fun in the safest way possible. However, some parents complained that the trampoline is rather unstable and seems unsafe for their kiddos. Others said that the safety net is practically useless as it ripped only after less than one month of use. This trampoline from one of the best trampoline brands can have the whole family literally jumping for joy. 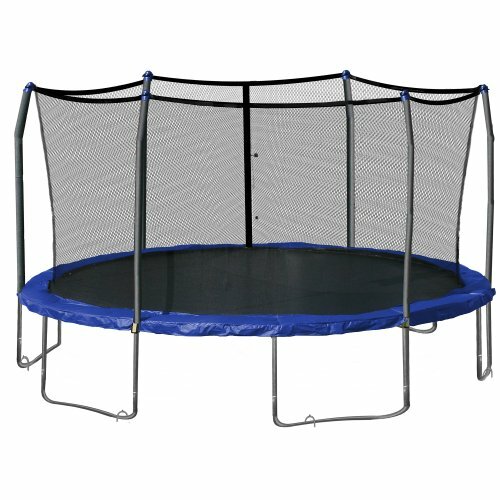 Its steel frame is engineered from heavy duty 14 gauge galvanized steel and reinforced with welded T-sockets to prevent structural twisting for many hours of safe jumping. Moreover, you don’t have to worry about your kiddos accidentally getting stuck in holes between the jumping mat and safety net enclosure as they’ve been eliminated. The foam padding is also extra wide for more protection against accidental hard landings. While most parents are generally happy with this Skywalk trampoline, a consumer complained that one of the legs broke within 3 months of use. Others were not happy that they paid nearly $500 for what was supposed to be one of the best trampoline brands and it turned out to be something with a very flimsy safety netting. JumpSport is a family-run trampoline maker. After witnessing their kids and their friends falling off the trampoline and injuring themselves several times, Mark Publicover, one of the founders of the company, resolved to create a safe, effective and affordable trampoline enclosure. In 1996, JumpSport invented the safety net which is widely recognized as one of the most crucial trampoline innovations. Today, children from all over the world are protected by JumpSport safety enclosures. The company went on to invent enhanced jumping mats and beds. What made JumpSport trampolines one of the best trampoline brands? Their focus on creating safe trampolines. For parents looking to buy a trampoline for their kids, a brand like JumpSport whose priority is making safe trampolines is the best form of insurance against trampoline-related injuries. One of the best trampoline brands in the market, this JumpSport trampoline comes with several patented technology for optimal fun and maximum peace of mind. The DoubleBounceTM & SafeBounceTM technology boasts enhanced shock absorption performance and the Triple & Dual-StagedTM Springs offer a softer bounce. This means kiddos can be bouncing safely without too much adverse impact on their fragile bones and joints. The patented safety enclosure is another highlight for all JumpSport trampolines. It boasts a patented, fail-proof backup net system that continues to catch and protect your kids from falling outside the trampoline even in the very rare case of net collapse. 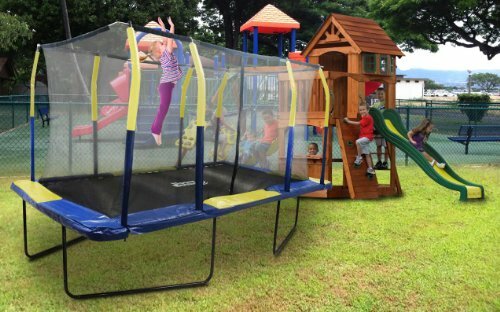 Its overlapping entry lets little jumpers easily slip in or out of the trampoline without having to zip up any flap-door entry like conventional safety enclosures. 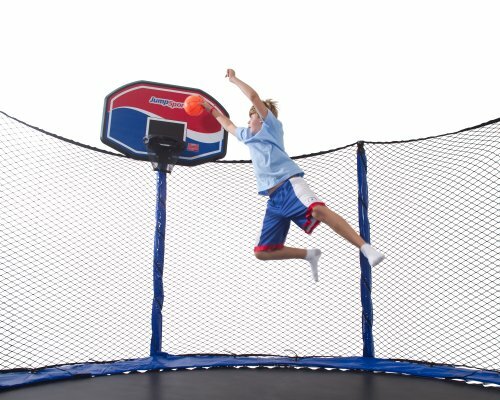 To add to the fun, this JumpSport trampoline also comes with a ProFlex basketball toy kit for all aspiring little NBA players! One of the most advanced trampolines with a whole host of advanced patented technology, most parents are willing to spend a small premium on this best trampoline brand to ensure the safety of their kids. The patented VariableBounce technology with 96 extra-stretch, high performance makes a world of difference in ensuring optimal shock absorption and higher lift. There’s less stress on the jumper’s bone joints and less possibility of hard, awkward landings. Speaking of hard landings prevention, the patented safety enclosure system with unique overlapping entry and Triple-Fail-Safe engineering utilizes two backup systems to hold the net in place. This means your kiddos are protected at all times while having fun with a world-class safety net enclosure system that’s seldom seen in most other trampolines. Coupled with a sturdy pre-galvanized steel frame made of top-notch materials, you can rest assured that the New AlleyOop trampoline is worth every cent of your investment. However, there was a minor complaint. Some people commented that the setup wasn’t as easy as the marketing materials have claimed to be and can take up to several hours. Offering excellent trampolines at affordable prices, Exacme has always been one of the best trampoline brands favored by customers who expect quality at a modest price tag. 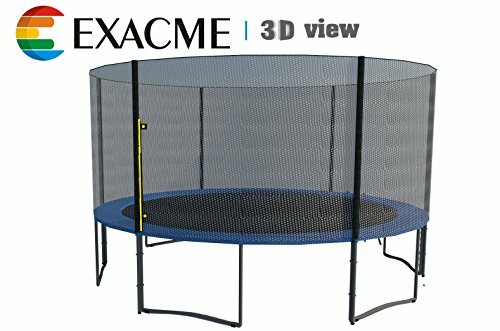 This Exacme 13’ trampoline could be one of the best trampoline brands for the whole family without breaking the bank. It comes with safety features that quality trampolines are often known for. Its 6 W-shaped legs have 12 contact points on the ground for more stability than trampolines with only 4 or 5 W legs. Stability is crucial whenever someone is having fun on the trampoline. Its heavy-duty rust-resistant galvanized steel frame is also an important element that contributes to trampoline stability. Moreover, the safety net enclosure is made of a weather-resistant material that prevents delirious jumpers from accidentally jumping off the surface. 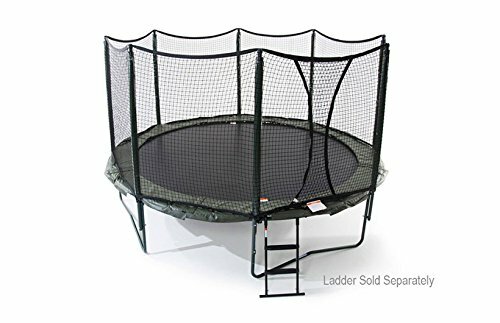 Also thoughtfully put-together, this safe trampoline comes with a mini ladder (tucked beneath the thick safety pads for security) for little tots to get on and off the trampoline safely. While most people are happy with their purchase, there were some complaints about springs becoming loose too quickly and safety pads ripping apart only after one year of normal usage. This is another trampoline brand that offers quality with affordability. Besides trampolines, Upper Bounce is also well-loved for their comprehensive replacement parts and trampoline accessories. This Upper Bounce trampoline sports an elongated rectangular shape which is great for small, narrow backyards. The sturdy trampoline frame is engineered with rust-resistant galvanized steel and powder coated black for longer durability. Ninety 7” ultra-bounce galvanized springs empower everyone in the family with exhilarating bursting strength and deep, soft bounces that are gentle on the bones. This means everyone can spring into air and land safely without hurting themselves. Naturally, a quality trampoline brand like Upper Bounce comes with all the safety features to ensure safe, healthy jumping fun. Thick safety pad prevents hard landings while the safety net enclosure is high enough to catch anyone from accidentally jumping off the surface. Though many people were very happy using their Upper Bounce trampoline, some people thought that it was difficult to assemble even though it was supposed to have an easy-to-assemble feature. For some families, the jumping mat and pad showed signs of tearing rather quickly only one year of use.